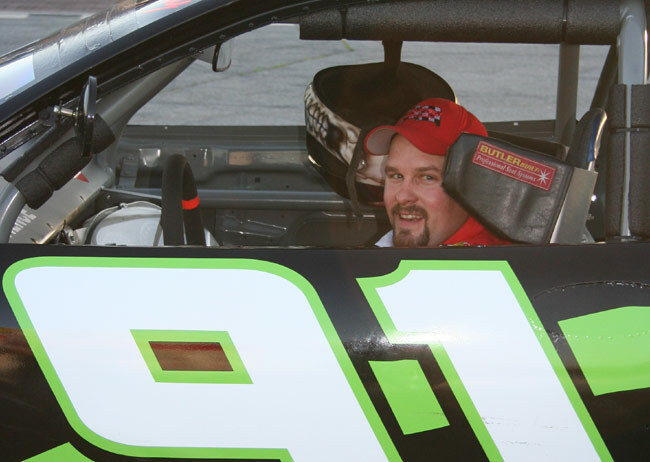 OXFORD, Maine - Eight years of wins, wild competition and heartbreaks culminated with Acceleration Series championships for Ron Abbott Jr. and Gregg Norton on Wednesday night at Oxford Plains Speedway. 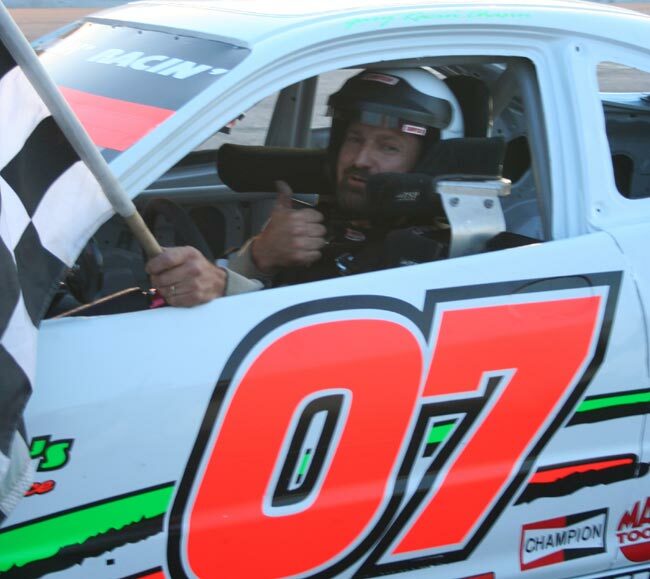 Contenders in the mid-week series almost since its inception, Abbott (Chimney Tech Outlaw) and Norton (Macdonald Motors Runnin' Rebel) claimed the two previously undecided titles in thrilling fashion. Eight drivers entered the night mathematically in contention for the Outlaw championship, while three had a crack at the Rebel crown. Norton's door opened when four-cylinder point leader Josh Childs crashed on the first lap of the 20-lap finale. When Kyle Hewins was black-flagged for his role in the incident, Norton merely had to finish the race. He drove home eighth to claim the elusive title. "I hit that wall so hard in July. I destroyed my car. My ribs still hurt," Norton said. "I was all done with racing, but then my brother called me up and said he couldn't get it out of his mind. And then Jim Hart called me up and offered me this car and told me he wanted me to win it. This is very emotional for me right now." The eighth-place finish and the July 16 wreck (19th) were Norton's only results out of the top seven. He won twice, finished second on two occasions and was third three times. Abbott's title also created a flood of emotions. It has been 10 months since his girlfriend, Jo Ann, died unexpectedly. 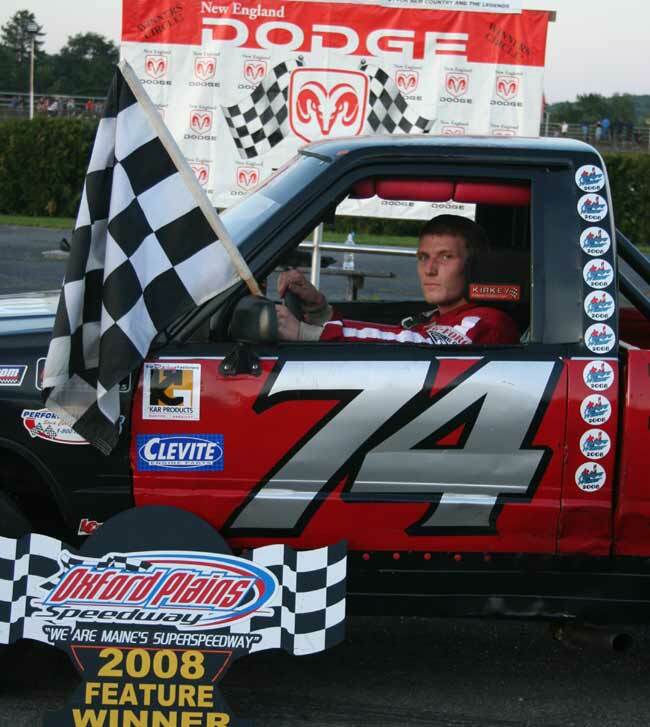 The second-generation driver won his crown with consistency: No wins, but three second-place finishes and nine top-10s in 11 races. "It's hard to win it that way against so many guys who are capable of winning it every week," Abbott said. 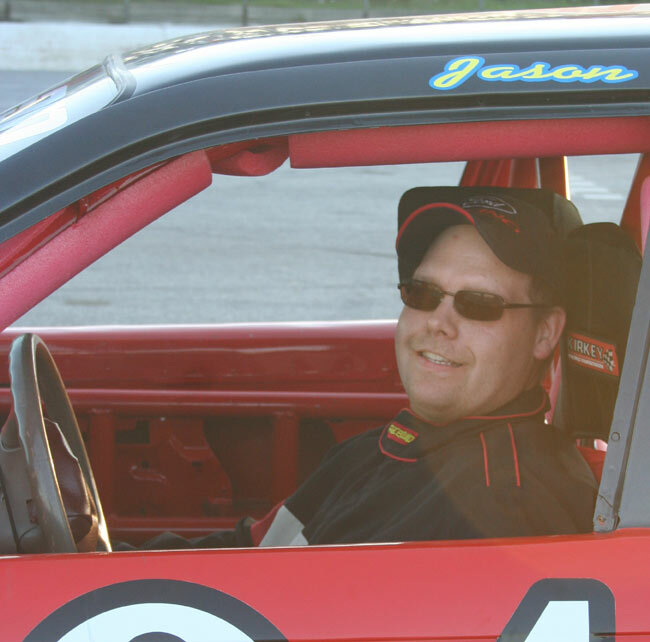 "Larry Emerson put this car together, and Zach Emerson has helped me for a long time. I couldn't have done without them or the fans up there who cheer for me every week." 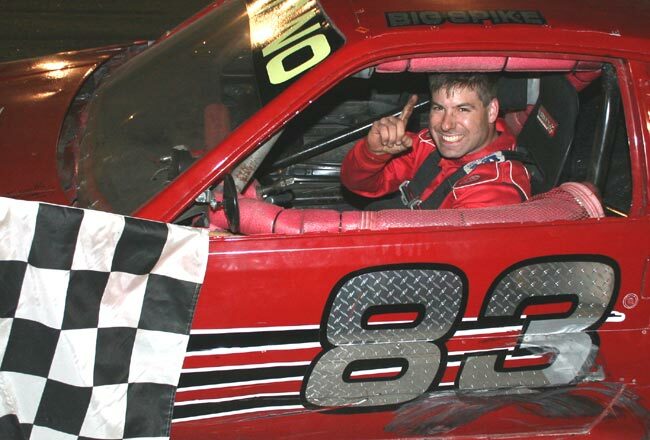 Dottie Patria (Allen's Coffee Flavored Brandy Ladies), Jake Burns (Call of the Wild RV Center Sport Truck) and Jason Hannigan (Goulet Home Inspections Renegade) each clinched their crowns a week ago. 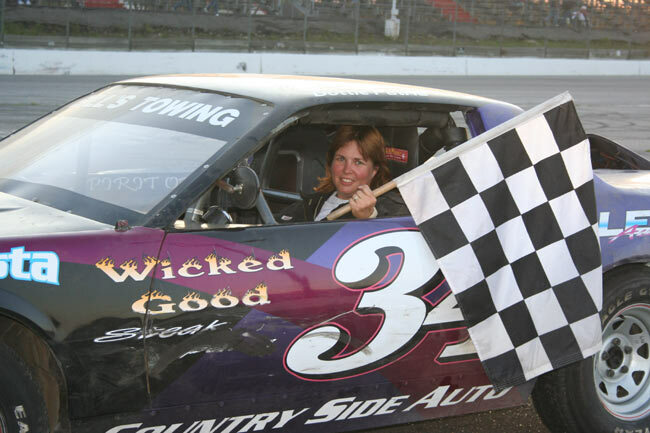 Patria won three Wednesday races and was thankful to enter the night with a huge point lead after her race ended early with a crash against the backstretch wall and a last-place finish. "That's definitely racing, but with the season I've had, I can't complain," Patria said. "Luckily I had already sealed the deal." The wreck marked only Patria's second finish out of the top three. Burns padded his own astonishing record with his 12th win overall and his sixth on Wednesdays, an ideal end to his second straight championship season. Last week's fourth-place run was Burns' only time falling shy of the trophy positions all summer. "Right now I don't have any set plans for next year," said Burns, "but I'll be looking to buy a Mini Stock over the winter." Hannigan's three-race winning streak in August cemented a title that, like Burns', included only one run out of the top three. It was his first foray into the six-cylinder realm after several years of Rebel competition. "With a new car like this, I never imagined it would go this well," Hannigan said. Aside from Josh Childs' misadventure in the Rebel championship race, his extended family continued its summer dominance. 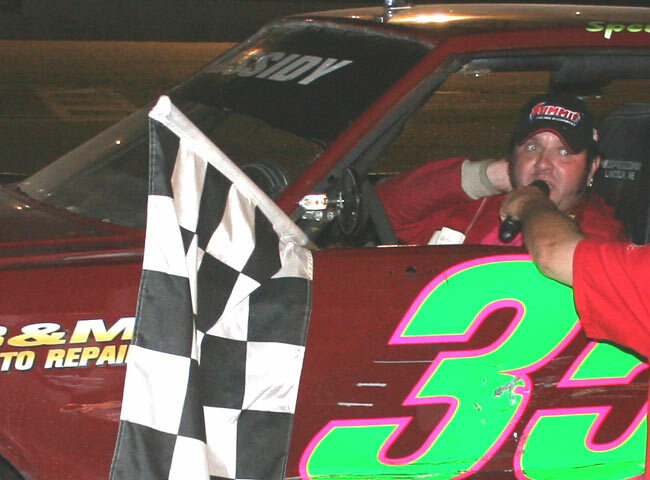 Josh's father David Childs captured his division-leading eighth Chimney Tech Outlaw triumph. His uncle, Guy Sr., won for the third time in the Outlaw 'B' clash. And cousin John broke through for his first win of a topsy-turvy Runnin' Rebel campaign. Vanna Brackett concluded her valiant championship defense with her eighth Ladies victory. 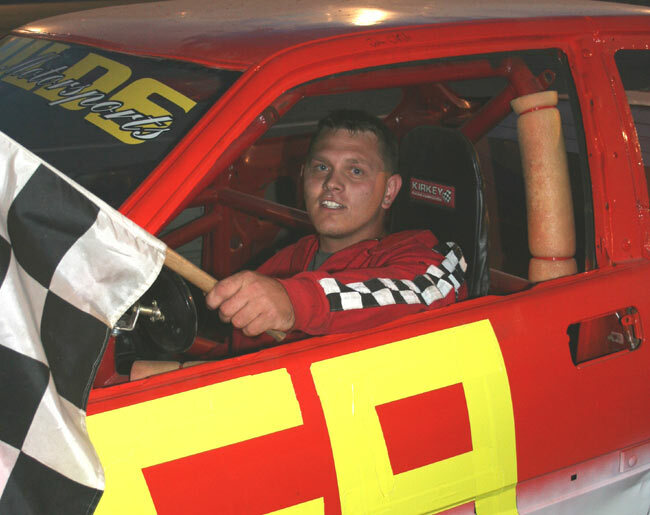 Jamie Heath did the same, ruling the Renegades for his sixth checkered flag of the campaign. 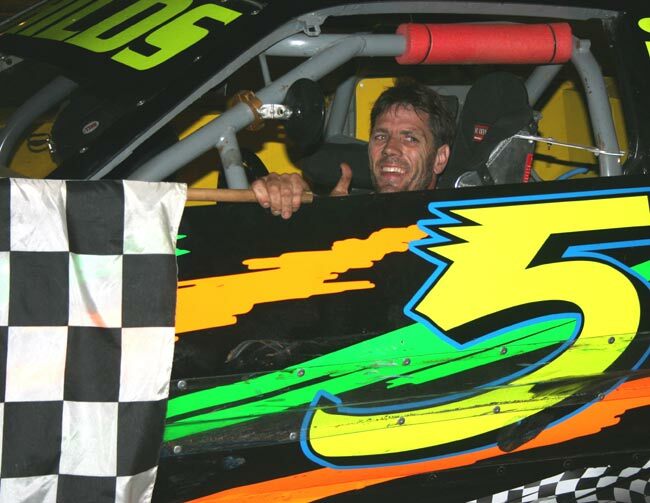 John Spencer Jr. posted his first OPS win in the first 20-lap Outlaw encounter. Four days after his initial career victory, Brady Romano backed it up with another in Rebel competition. 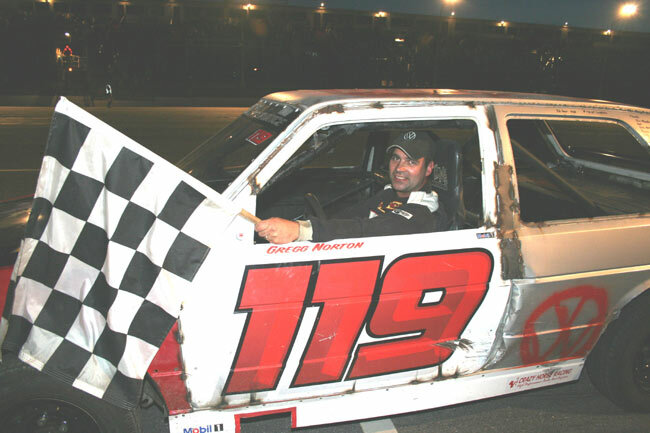 Two-time past champion Gary Chiasson also picked up a win, his first since 2005. OPS returns to action Friday at 6:30 p.m. for Unicel Motor Mayhem, featuring Twin Enduros, the Smoky Donut Show and Spectator Drags. Saturday at 6:30 p.m. is Polly's Variety Championship Night. 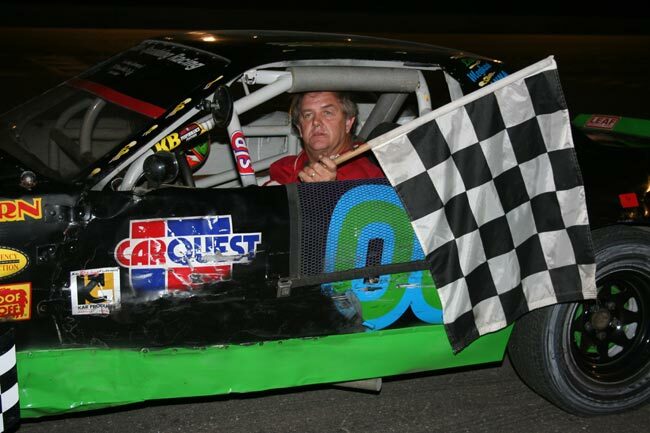 Oxford Networks Late Model, Allen's Strictly Stock and Allen's Mini Stock champs will be crowned along with Agren Appliance Summer Showdown winners in Rebel and Truck. The night also includes driver appreciation festivities, an on-track autograph session and fireworks. Cars will roll onto the track for the exhibition at 5:45 p.m., with racing at 6:30 p.m. Lap leaders: S. Veinott 1-9, Judd 10-14, G. Childs 15-20. Lap leaders: J. Patria 1-12, D. Childs 13-20. MACDONALD MOTORS RUNNIN' REBEL #1 (20 laps): 1. Gary Chiasson, Peru; 2. Jeff Hebert, Auburn; 3. Errol Smith, Stow; 4. Bob Danforth, Stoneham; 5. James Wood, New Gloucester; 6. Brian Nason, Lewiston; 7. Brian Hawthorne, New Gloucester; 8. Jeff Wade, Peru; 9. Randy Nutter, Auburn; 10. Michael Carver, Durham; 11. Mike Kyllonen, Mechanic Falls; 12. Chris Giguere, Minot; 13. Ellery Phillips Jr., Turner; 14. Nate Dubuc, Lewiston; 15. Ryan Hewins, Leeds; 16. Jonah Farrington, Hebron. 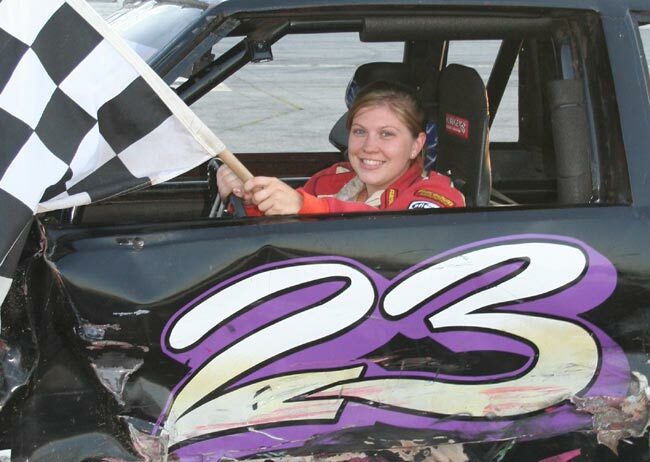 MACDONALD MOTORS RUNNIN' REBEL #2 (20 laps): 1. John Childs, Leeds; 2. Zach Audet, Chesterville; 3. Logan Melcher, Livermore Falls; 4. Doug Degroat, Oxford; 5. Jason Berry, Turner; 6. Dwayne White, Livermore; 7. Tyler Smith, Oxford; 8. Josh Brown, Center Conway, N.H.; 9. Gerard Cote, Oxford; 10. Bill Dunphy, New Gloucester; 11. Cody Smith, Oxford; 12. Don Smith, Oxford; 13. James Record, Oxford; 14. Ken Whittemore, Greene. DQ: Dustin Couture, Auburn; Brandon Munroe, New Gloucester. MACDONALD MOTORS RUNNIN' REBEL #3 (20 laps): 1. Brady Romano, Livermore Falls; 2. Troy Jordan, Turner; 3. Mike Ward, Harrison; 4. Calvin Rose Jr., Turner; 5. Craig Farrington, Hebron; 6. Matt Dufault, Turner; 7. Jeff Beaule, Lewiston; 8. 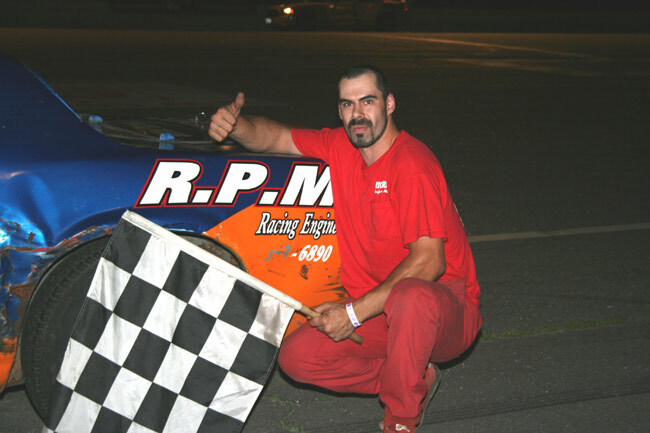 Gregg Norton, Lewiston; 9. Charlie Webster, Auburn; 10. Archie Watt Jr., Auburn; 11. Jamie Leavitt, Minot; 12. Bill Sprague, Minot; 13. Kyle Hewins, Leeds; 14. Josh Childs, Oxford; 15. Derek Cook, Wilton. CALL OF THE WILD RV CENTER SPORT TRUCK (20 laps): 1. Jake Burns, Gray; 2. Ryan Farrar, Oxford; 3. Opie Allard, Harpswell; 4. John Lizotte, Mechanic Falls; 5. Ross Spurling, New Gloucester; 6. Tom Libby, Gorham; 7. Jeff Schmidt, Mechanic Falls; 8. Devon Smith, Norway; 9. Corey Williams, Sumner; 10. Ray Letellier, Hebron; 11. John Pinkham, Auburn; 12. Herb Farrar, Sumner; 13. Steve Anderson, Bethel; 14. Ben Yap. Bryant Pond. ALLEN'S COFFEE FLAVORED BRANDY LADIES (20 laps): 1. Vanna Brackett, Buckfield; 2. Cathy Manchester, Gray; 3. Lisa Brooks, Auburn; 4. Missy Blash, Norway; 5. Debbie Marston, Hartford; 6. Kristen Brown, Gray; 7. Sue Veinott, Sabattus; 8. Shannon Wheeler, Auburn; 9. Kimberly Sessions, Auburn; 10. Lisa Vining, Turner; 11. Annie Chartier, Mexico; 12. Dottie Patria, Turner. GOULET HOME INSPECTIONS RENEGADE (20 laps): 1. Jamie Heath, Waterford; 2. Craig Bartlett, Denmark; 3. Jason Hannigan, Greene; 4. Joe Morey, Lisbon; 5. Gerard Cote, Oxford; 6. Mark Turner, Norway; 7. Dan Ellis, Brunswick; 8. Robert Lowe, Turner; 9. Phil Knowlton, Poland.